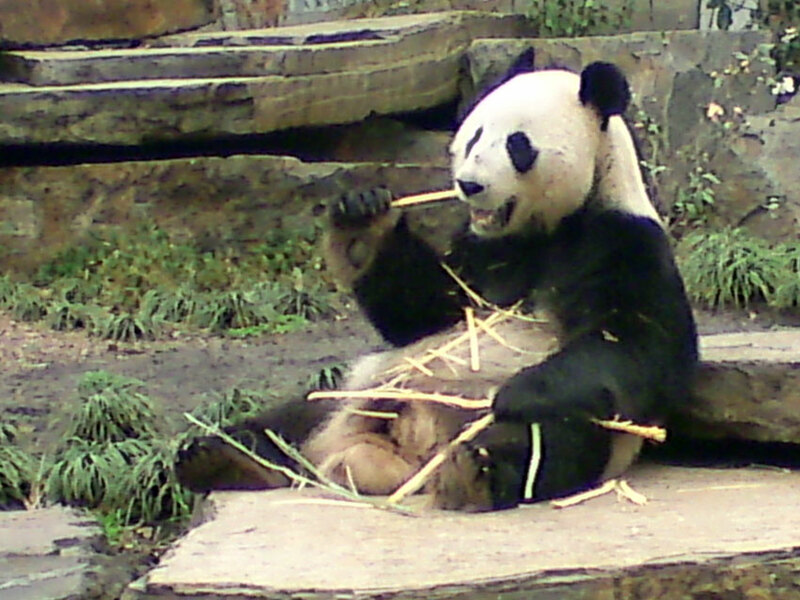 The picture is of Wang Wang at Adelaide Zoo. Lynettea will have to do better next time. I want some nice new portraits to post. She tells me that the red haired kitty is still battling it out with the men in business suits. The people in green socks are feeling good because more people than before said they also wanted to buy green socks. I hope I don't have to wear green socks on my paws. Dressing up is not for me. Meanwhile we can't work out what the three people in between the red haired kitty and the men in business suits are wearing. They look very pleased with themselves, but aren't giving much away. If any real cats had been allowed to stand in the election (or vote), then we would have all settled back comfortably by now at our food bowls. Lynettea can't find out much from the newspaper, as the delivery man is throwing it into a puddle every morning now it is raining and the pages are all soggy. Maybe next week it will all settle down. I think I might consider a long rest on the bed until then. I don't like getting my pawsies wet (sorry, paws) and I don't like nasty wet splashes of rain on my beautiful fluffy coat. I think it is the battle of the colours: the red-haired kitty, the people with the green socks and the men in the business suits with the blue ties. Although Lynettea says they don't always wear the business suits nowadays. Some are in swimming costumes. How can that be? It is too cold to go swimming. She says that she wants to save the bush. Well our grevillea bush is looking rather dried out in parts and needs a trim. Will the red-haired kitty come to do it? Or the people in green socks? I think she is living in a foolish dream, as they will be too busy shouting at one another to come to our place. What about all the other bushes, are they saving them? Well, I think I will just stay in my heated bed and take a rest. Lynettea says that kitties are still not allowed to vote. And it is the twenty-first century. It is hard to believe, I know. 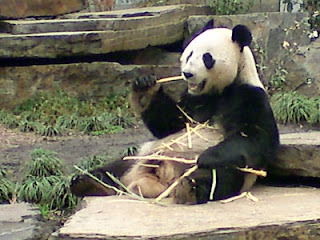 My dear friends, I have not been able to post, although I am well. I just have a very recatricant human in charge of the computer. Also she got caught out by a computer scam recently. Some people rang her saying they would fix up her computer, which was sending floods of warning messages to their Windows Support On Line Centre in Chatswood. It seemed they were very overloaded with trying to deal with all the error messages sent by her computer and had rung up to try to stop them. They showed her lots of the Window's Error Messages on her computer and said the ones in RED WERE PARTICULARLY DANGEROUS. AND NOT TO OPEN THEM ON ANY ACCOUNT. Then they said they would help her and all for free!!!! She was pleased to hear this, because my cat food is quite expensive and she can't afford to waste money. Unfortunately when they asked her to type in her six digit code so they could help her ---- she had no code. Can you believe that? They said everyone has a six digit code (except Lynettea). She really felt out of it when they told her that. Everyone else had the code. Well the nice man she was speaking to said he could get her a code for $50, which did not seem all that expensive when she looked at his other plans (up to $350.) So she paid for the code and let them start fixing her computer. After a little while (7 minutes) she noticed that the tech was not there on the chat line anymore, although he said that he would be around forty minutes fixing it all up for her. He also told her that the company would ring her every year and fix her computer for free now she had the lifetime code. So she put the six digit code in the little box again. I was sitting on the lounge watching her do all this and was quite concerned. The lifetime six digit code said it had expired. Then when she tried again the message said the six digit code did not exist. So she rang the bank in the middle of the night and the lady told her she should put a bar on her credit card and search the computer for viruses. Then Lynettea found none of the nice people's phones at the Windows support on line in Chatswood were answering. Perhaps they had all gone home? She is feeling a bit grumpy about this and especially as she has had to cancel her credit card. Well I let her have a little space to tell you this information. I am sure none of the kitties reading my blog would fall for this trap, but what about your humans? Can they be trusted with the computer? Or the phone?